The McMasters are a missionary family supported by Bethel. 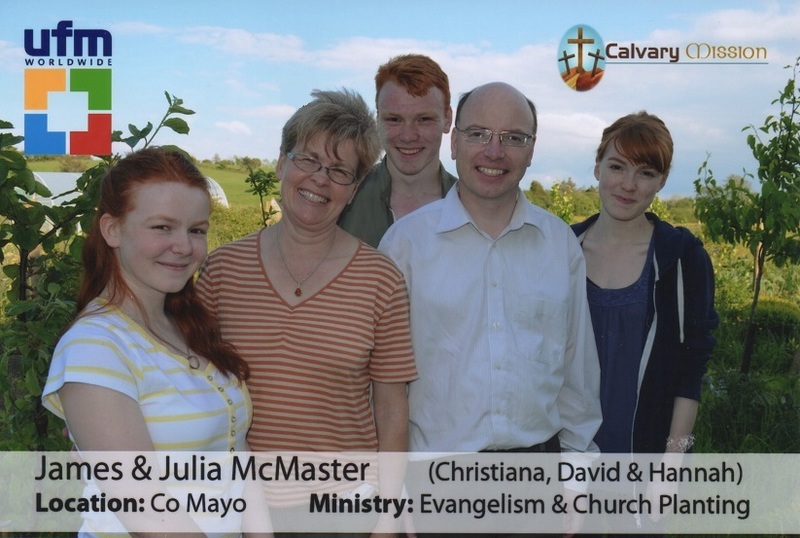 They’re UFM Worldwide workers, sent out to by Peniel Evangelical Church to be missionaries in County Mayo, Ireland. They’re partnered with the national group known as the Calvary Mission. The mission, established in 1997, has two main aims; to plant churches and to facilitate and encourage more missionaries to labour in the West of Ireland. Church plants have already been established in Westport, Castlebar, Ballina, Charlestown and Claremorris. James and Julia are actively involved in door-to-door work, school’s work, evangelistic bible studies and literature distribution. Please join us in remembering this family in prayer as they undertake this important work on a day to day basis.